Who says Friday the 13th is unlucky? 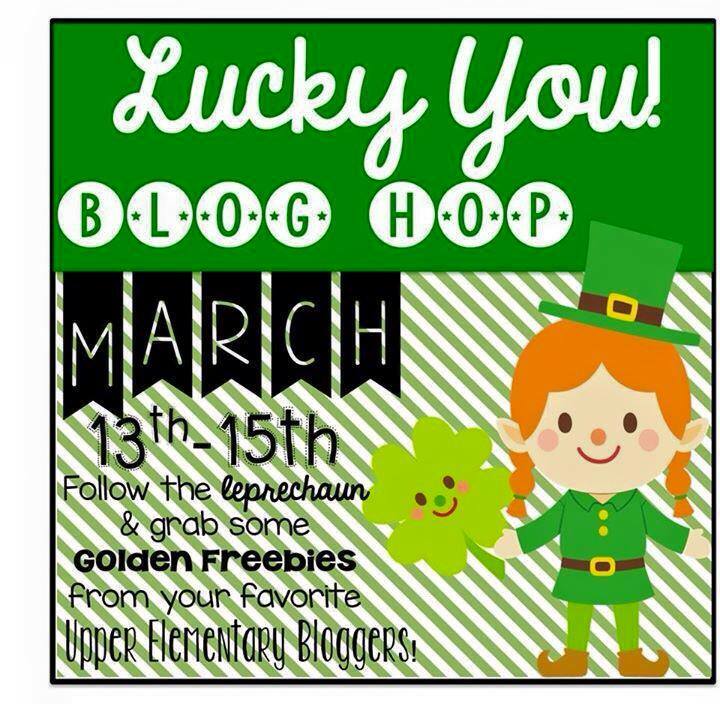 SO excited to team up with 20 AMAZING upper grade bloggers for a Lucky You! Blog Hop!! It seems like we've been doing fractions FOREVER and I'm ready to be done and move on! 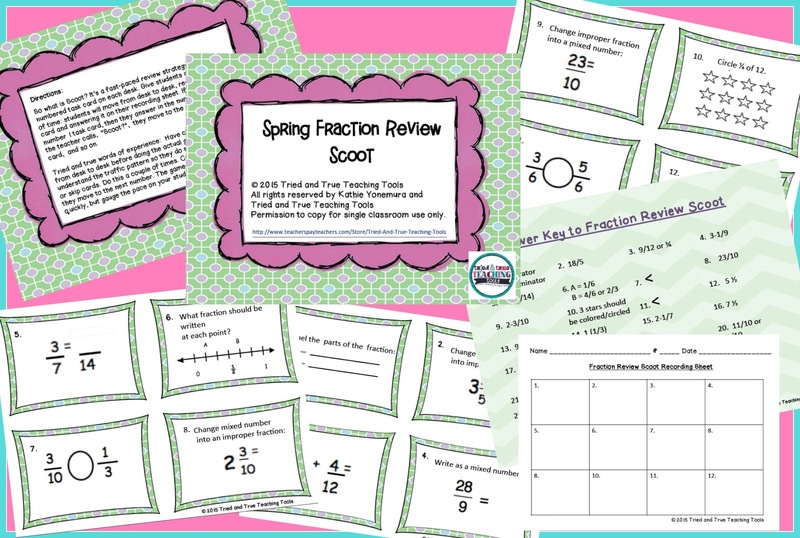 But I want to make sure my students understand the many concepts we covered during this unit so I created a Spring Fraction Review Scoot game. So what is Scoot? It's a fast-paced review strategy. Place a numbered task card on each desk. Give students a certain amount of time: students will move from desk to desk, reading the task card and answering it on their recording sheet. If they are at number 1 task card, then they answer in the number 1 box. When the teacher calls, “Scoot!”, they move to the next desk with task card, and so on. Tried and true words of experience: Have class practice moving from desk to desk before doing the actual game. Be sure they understand the traffic pattern so they do not run into each other or skip cards. Do this a couple of times. Call out, “Scoot!” and they move to the next number. The game is supposed to move quickly, but gauge the pace on your students. And the luckiest news of all: Spring Fraction Review Scoot is FREE during this Blog Hop! Be sure to grab your copy here! After March 15th, it goes back up to full price! Click on Collaboration Cuties below to hop to the next Lucky FREEBIE!! Great SCOOT Game!! I can tell you are a GLAD teachers as well... we love it at our school as well!! Thanks, Susan!! But I don't know what GLAD is? Do tell!! I'm so glad you found me, too! Thanks for hopping by, Theresa!! I feel like I have struck gold! This is EXACTLY what my kiddos need to review right now. Thanks so much for linking up! Yay! I'm so glad!! Thanks for organizing, Layla!! I LOVE reading what everyone else is up to!! Even though they're working hard, your kids won't mind practicing since they're up & moving!! Let me know how it goes!! Thank you so much for the freebie! I can't wait to use it with my class. You're welcome! I'd love to know how your class likes it! I'm so glad I found you through this blog hop! LOVE the fraction review SCOOT game!! Yay!! My kids love it, too! Thanks for hopping by, Holly!! I love scoot, and these look like super awesome cards for reviewing fractions! Thanks so much for sharing! You're welcome! I LOVE your products, Tabitha!! I hope you can use this Scoot!! Thanks so much, Tina!! Let me know how it works out with your students! These are amazing and perfect to play a game of SCOOT for our fraction unit review coming up in a week! Thank you so much!!! I'm glad it's just in time! That's what we're doing this week, too, so I created it for my own class to use! :) Thanks for stopping by! !